As a kid, I was never a fan of breakfast for dinner. I'm not sure exactly why that was because I really enjoy frying a few eggs for dinner now. I suspect that it's because my mom usually served pancakes or waffles and I just can't get behind sweet food for dinner. This dinner-- or brinner, rather-- is a different story. It's the perfect marriage of a savory dinner flatbread and a brunch-worthy perfectly poached egg. Naan flatbreads from the grocery store bakery are one of my dinner secret weapons. Top them with whatever you want, bake for 10-15 minutes, and dinner is ready on top of a thin and soft, but slightly crunchy crust. 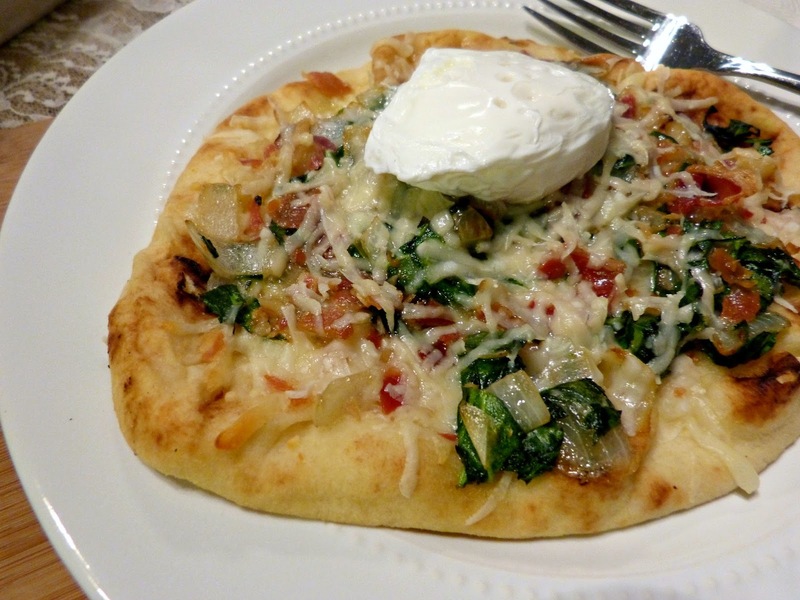 These Naan flatbreads are topped with a delicious combination of savory ingredients: A quick brush of olive oil, crispy salty pancetta, soft sauteed onions and spinach, and a combination of freshly grated parmesan and shredded mozzarella. This combination alone is really tasty and a complete meal in and of itself. You could bake up this flatbread, slice it up, and eat it like a thin crust pizza. At the last minute though, I thought that this needed a little something extra... like the runny yolk of a poached egg. Egg on a pizza, you ask? 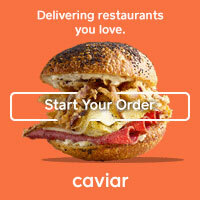 Yes, it's delicious. One of my favorite pizzas at one of my favorite pizza places (Stella Barra Pizzeria) is a white prosciutto pizza with chiles and cheese and a sunnyside up egg in the center. The pizza is sliced, the yolk runs out on it, and it is a really delicious and different way to enjoy a pizza. 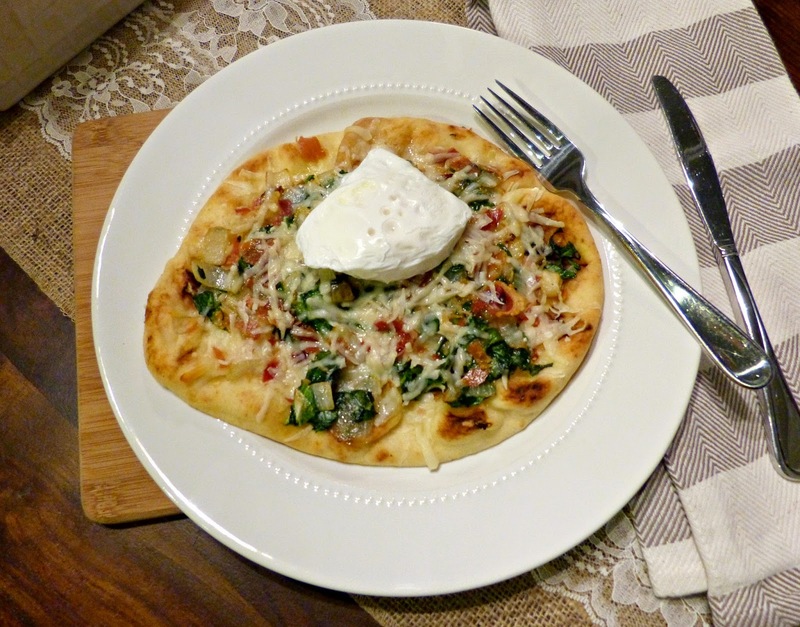 This flatbread is perfect for a weeknight dinner or a lazy weekend brunch at home. If you're vegetarian, eliminate the pancetta (and add mushrooms, if you want) and you've got a super satisfying meatless meal too! Heat a medium skillet over medium heat. Add pancetta and cook on both sides until golden and crispy. Transfer to a paper towel-lined plate to drain. When cooled, crumble and set aside. Add 1 tsp. olive oil to the same pan and sauté onion over medium heat for about 10 minutes, stirring frequently. Add spinach, season with salt and pepper, and saute for 2 minutes (until spinach just begins to wilt) and remove from heat. Brush the remaining olive oil on top of each Naan. Spring 3/4 of the mozzarella evenly over the top of each oiled flatbread. Layer onion and spinach mixture on top, sprinkle on pancetta, and top with the grated Parmesan and remaining mozzarella. Bake for 10-12 minutes or until cheese is melted, brown, and bubbly. Meanwhile, crack each egg into a separate small bowl (like a ramekin), being sure not to break the yolks. Fill a saute pan 3/4 of the way full with water and bring to a boil. Add vinegar and reduce heat to a simmer. Carefully drop the eggs into the water one by one (leaving a good amount of space between each ). Cook for 4-5 minutes until the whites are set and gently remove from the pan with a slotted spoon. Drain water from the eggs. 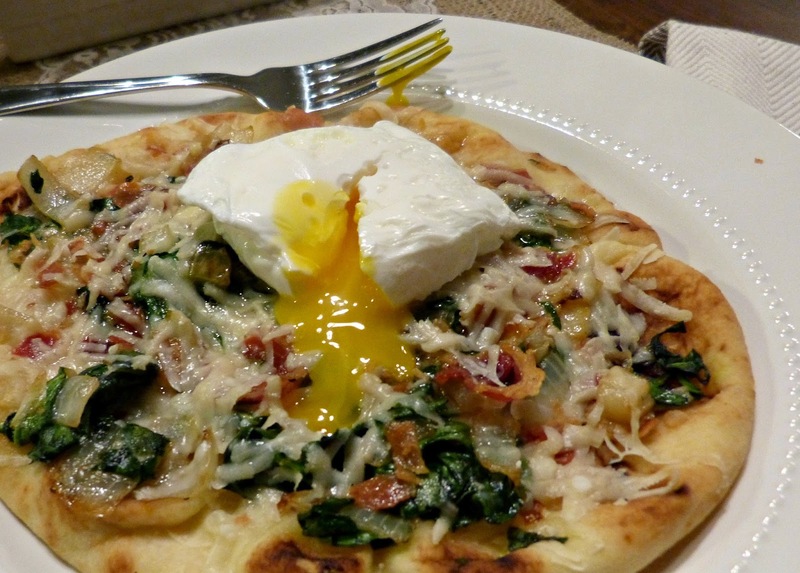 Place a poached egg in the center of each baked flatbread and serve immediately. Definitely give this recipe a try! Egg on pizza is one of my new favorite things.